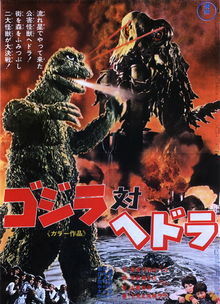 Poster for Godzilla vs. Hedorah, copyright Toho Co, Ltd. I recently watched a TV episode with The Garbage Collector, the anti-hero in an “environmental slasher film.” The Garbage Collector was a monstrous figure who lived in a landfill and seemed to battle bad guys even though it wasn’t clear whether he was a bad guy or good guy himself. This ambiguity seems to be a trend. There is a long tradition of trash fighting back in the form of TV and film characters from villains such as Hedorah in Godzilla Vs. The Smog Monster to the wise and matronly, sentient compost heap named Marjory from Fraggle Rock. In cases that the trash-character isn’t just outright gross, he/she/it is either an environmental payback (think, Stink Spirit in Spirited Away that was once a River Spirit, or Hexxus, the bad guy in Ferngully), or the character complicates the idea of dirty/clean and good guy/bad guy. Marjory the Compost Heap discussing the difference between trash and “like new” discards and giving advice to a Fraggel who lost his lucky bottle cap. In The Tick vs Filth, for example, a group of articulate Herculean sewer workers ask The Sewer Urchin, a superhero, for help battling a corrupt former Solid Waste Commissioner now known as the Sewer Czar whose master plan is to send his Filth minions through each facet, drain and sink in the city. The heroic folksy Sewer Urchin is a freegan and wipes his feet at the entrance to his sewer-apartment while the Sewer Czar is corrupt and imperialistic (though it all turns out well in the end). Thus, a spectrum of dirty and clean, good and evil battle each other to breakdown dichotomies. Much of this list of trash-characters is taken from a much longer one at “Trash Fights Back: The scariest monsters made of garbage!“.